The real issue is that Disney was looking for Middle Eastern actors for what they explicitly said was a Middle Eastern role. Disney recently announced their selections for the cast of the new live-action remake of the 1992 animated movie, Aladdin. The announcement, however, was met with widespread outrage. 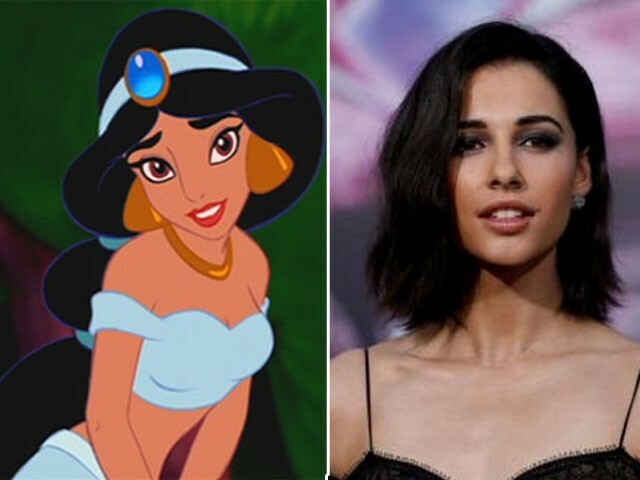 British actress Naomi Scott of Indian heritage was selected to play Jasmine, and people were furious at Disney’s failure to give the opportunity to someone who is actually Arab. Prior to this announcement, Disney had disclosed that they had been having difficulty selecting Middle Eastern actors for the part. “It can’t be easy to cast a Middle Eastern actor as a terrorist but difficult to cast the same people in a leading role,” the journalist Rawan Eewshah wrote for Allure on Friday. With so many Middle Eastern actors and actresses readily available in Hollywood today, why did Disney make the choice that they did? It turns out that their cast selection for this movie is only the tip of the iceberg when it comes to their inherent and long-standing racism problem. The 1992 Aladdin was fashioned loosely after a Syrian tale, and the name of the town, Agrabah, is a mixture of the names of Agra and Baghdad – Agra being in India and Baghdad being in Iraq – and the palace in the movie is clearly fashioned after the Taj Mahal. Marketed as a Middle Eastern setting, this was pretty confusing to people who took the time to think about it. It seemed as though the creators of the movie – a group of six white men who wrote, scored, produced and directed it – simply took a variety of the “Middle Eastern” cultures that they had knowledge of (although India is not in the Middle East) and created a big boiling pot mess of them, presented in the guise of a children’s cartoon, in which even the characters are voiced by white people. In a way, this live-action remake was Disney’s opportunity to correct the mistakes they had made in the past. Since the release of Aladdin, other Disney movies such as Mulan and Moana have been thought out properly, and have used Chinese and Pacific-Islander voice actors respectively. Unfortunately, casting Naomi Scott as a Middle Eastern woman just because she is brown highlights the Orientalist tendency to conflate all brown cultures and make them seem interchangeable. In a time and place where Middle Eastern people (and most brown people, for that matter) urgently require accurate representation, it is especially ignorant to assume that any actress with brown skin will do. Disney’s ignorance can easily be traced back to Hollywood and the general western film industry’s history of subtle and not-so-subtle racism. From using blackface in their first cinematic triumph in 1915, The Birth of a Nation, to casting Emma Stone to play a half-Hawaiian and half-Chinese character a hundred years later in Aloha. Perhaps Disney finds itself having to make these choices because their white actors (or half-white, like Scott) are better known and sell out more cinemas. Or perhaps it’s because the general western mind-set tends to confuse all brown people for one another anyways, so they thought it wouldn’t be a big deal. Initially, when Disney announced that they were casting roles for Aladdin, the internet saw people suggesting the likes of Riz Ahmed and Dev Patel for the main role, one of whom is Pakistani-British and the other Indian-British. The issue here isn’t just that the character is Middle Eastern and the actress is not. In many people’s minds, it shouldn’t matter as long as she looks the part, because after all, an actor’s job is to pretend to be someone they aren’t. Maybe it’s the equivalent of casting a Canadian or British actor to play an American. The real issue is that Disney was looking for Middle Eastern actors for what they explicitly said was a Middle Eastern role, and then they cast a woman who is half British and half Indian, even though they had hundreds of other choices. There is already so much underrepresentation and misrepresentation of people from the Middle East and South Asia, and it has already caused religious and cultural misunderstandings and violent hatred. What we need more than anything is a platform on which to represent ourselves. White people, however, do not need to go to such lengths to prove themselves and their worth, and they definitely do not need to be taking important opportunities such as this one away from people who really could have benefitted from them. Had they actually cast an obscure Middle Eastern actress for this high-budget Hollywood film, perhaps the fame and recognition she would receive would propel her to a position from which she could speak for and represent other people with a heritage like hers. The writer is a film major at Bard College in New York. All of this outrage at Hollywood by pseudo intellectuals at westerners for casting actors and all of them are all still calling the character by her western name. Yasmeen is the Arab name. Stirring up trouble in a teapot again?